In a statement of defence filed in the Ontario Superior Court of Justice, Belinda said she had to intervene to stem losses from the hundreds of millions of dollars being spent on a cattle ranch, golf course and other projects. 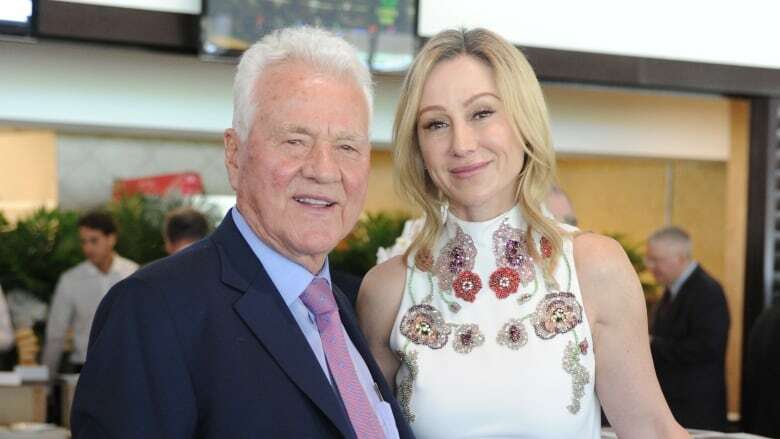 In a statement emailed to CBC, she said, "My focus is on leading a successful racing, gaming and entertainment business, driving its future through innovation, and being a responsible steward of all of our assets at The Stronach Group." "We have thoroughly responded to false allegations and we will let the court process unfold. I look forward to putting this very unfortunate situation behind me as soon as possible." Ossip said in his statement of defence that while Frank was, in his day, a giant of Canadian business, "his judgment is not at all what it once was."